Philadelphia was were I was born. It was were my love for music was birthed. It was also were a lot of very painful things happened, one of which was losing my mom. And every time I think about coming back to my hometown of Philadelphia I cringe. But the more time goes on, the more and more I heal, and the more and more I don't mind it. I'm really proud to have been born in this city despite everything that has happened and maybe one day I'll write a book about it. I recently watched all the Rocky movies and I knew I had to come back to this city. I figured if Rocky Balboa could face all the loss that he had to endure, so could I! I think of my mom who passed away back in Feb of 2002 as I drive around to old stomping grounds, even the place where she used to work. And then I get told stories of her bravery and love in the face of misunderstanding and judgments. She treated people so much kindness. I heard one particular story while I was visiting that I won't go into detail about, but just as I was told of how kind she was, tears just started to run down my face and I couldn't for the life of me stop myself from crying. All this happened in the middle of eating my breakfast at Green Eggs Cafe in Northern Liberties. I think our waitress thought I didn't enjoy the eggs benedict. I kept thinking, 'man how did she (mom) muster up the strength to stare someone in the face that she could had every right not to extend kindness but did anyways?' And there she did it again! She blew my mind even after so many years of not being here anymore. It seems going back to your old stomping ground, you get something beautiful in return if you allow yourself to receive it. And boy did I have to fight against holding back the tears. Sometimes waves will hit me without any warning. And in that moment I just have to let it hit me. Let it overpower me with force. Fall into it and dive in to all the feelings no matter how uncomfortable it made me. It was a good moment of more healing. Aside from all that, I got to hang out with my dad and his amazing wife Isabel! They drove me around the city and let me take some shots like this one of the Ben Franklin Bridge. I got to enjoy a lot of Rita's Water Ice... 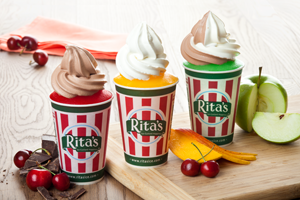 If you haven't had a Rita's yet, search to see if they have it in your town. The Gelati is my favorite. I swear I had one almost everyday when I was there. And one day I had it twice. The black cherry is my favorite flavor! Here's my dad in his happy place! He loves to go fishing. So we went to Cape May and got a lot of sun and didn't catch a whole lot. But it was awesome to see him and capture him in action. Here's a shot of the family during dinner! This here is a fun bunch. My dad and his lovely wife Isabel! Before I went to NYC to visit a friend, Isabel took me on a bike ride around parts of the city. That was a blast and below are a few photos of the sites I came across on the ride. This image here is the house I grew up in. I went back here and took a photo so that I wouldn't forget... My dad sold it recently. New chapter begins, for him, for me, and our family! I was bruised and battered, I couldn't tell what I felt. I was unrecognizable to myself. I saw my reflection in a window, I didn't know my own face. Oh brother are you gonna leave me wastin' away On the Streets of Philadelphia. I walked the avenue, 'til my legs felt like stone, I heard the voices of friends vanished and gone, At night I could hear the blood in my veins, Black and whispering as the rain, On the Streets of Philadelphia. Ain't no angel gonna greet me. It's just you and I my friend. My clothes don't fit me no more, I walked a thousand miles Just to slip this skin.